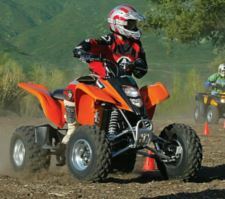 ATVs are popular among youth and adults for recreation and for utility use. They can be useful for work and fun to ride, but they can also be dangerous if the rider doesn’t operate the ATV safely. Understanding the right way to safely ride the right-sized ATV for you is important before you ride.